Stanley Eisenstein works closely with our diverse labor union clientele. He strongly believes that counseling, advising and educating our labor clientele is a critical component of the firm’s successful labor practice over many decades. In addition to traditional labor law practice for labor unions, he handles a wide range of individual employment-related disputes from discrimination to benefits. During his career, Stanley has handled literally over five hundred complaints issued by the National Labor Relations Board (NLRB) for our many labor union clients, which is an unprecedented number for any labor attorney, on either the management or labor side. He was actively involved as a primary litigator for the UAW before the NLRB and numerous Federal and State courts in the unprecedented labor dispute between the UAW and Caterpillar Corp. during the 1990’s. He has successfully handled individual discrimination casas, including achieving a major jury verdict against United Airlines in a disability discrimination case. Gile v. United Airlines. He has written numerous labor and employment law articles and case law updates in Illinois State Bar Association publications. 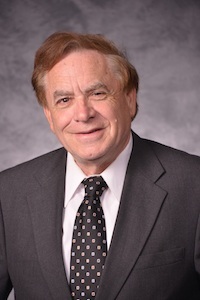 He has been a frequent speaker on a multitude of labor issues before such organizations as the Illinois Institute of Continuing Legal Education; Chicago-Kent College of Law, Chicago Bar Association; American Arbitration Association, National Academy of Arbitrators and the Illinois State Bar Association. He is a past chairperson of Labor and Employment Law Section Council of the Illinois State Bar. Stanley has been inducted as a Fellow in the College of Labor and Employment Lawyers. Election as a Fellow is the highest recognition by one’s colleagues nationally of sustained outstanding performance in the field of labor and employment law exemplifying integrity, dedication and excellence. Stanley repeatedly has been recognized by his peers in the field of labor and employment law by: The Best Lawyers in America; Illinois Superlawyers; Leading Lawyers; Chicago’s Best Lawyers. He has been selected as a Top 100 Trial Lawyer by the National Trial Lawyers. He was named as 2013 Chicago Lawyer of the Year – Labor Law – Union. In 2018, Stanley received the singular honor by being named by Leading Lawyers as the top Labor Union Attorney In Illinois. He earned a Bachelor of Arts degree in History from the University of Illinois at Urbana/Champaign in 1968, with High Honors. He is a member of Phi Beta Kappa. In 1973, he was granted his Juris Doctor from the same institution.. Stanley is married with three daughters, and is a devoted fan of the Fighting Illini. · In 2018, Leading Lawyers named Stanley Eisenstein as the top Labor Union attorney in Illinois. · Stanley Eisenstein is included in "Who's Who in America." · In 2016, the American Institute of Legal Counsel ranked him one of the “10 Best” in its Labor and Employment Law section. · He was named as Chicago Lawyer of the Year, Labor Law-Union in 2013.